Horton’s arson knowledge will not go to waste now that he’s in retirement. 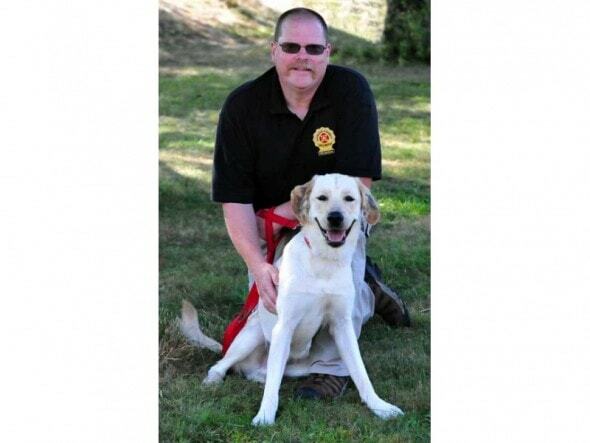 The new arson dog will learn from the veteran. Service dogs put their lives at risk everyday to help humans and save lives. Horton, a golden retriever-lab, certified as a an arson dog by State Farm insurance, worked for Howard County Fire and Rescue Services in Maryland since 2013. After two years on the job, the dog with a remarkable records retires. Arson dogs are trained to detect accelerants like lighter fluid and gasoline, and the use of these service dogs helps expedite fire investigations because the four-legged experts can process crime scenes faster than human tools. “In his short time with [the department], Horton achieved rock-star status,” stated the Howard County Department of Fire and Rescue Services in a statement. Horton became a local star after being featured in safety literature (prominently on State Farm’s brochures), making school appearances , promoting fire safety through social media, and becoming the American Humane Association’s 2015 Hero Dog Award winner. The canine arson specialist helped closed many local arson cases and helped gather evidence to arrest arsonists. 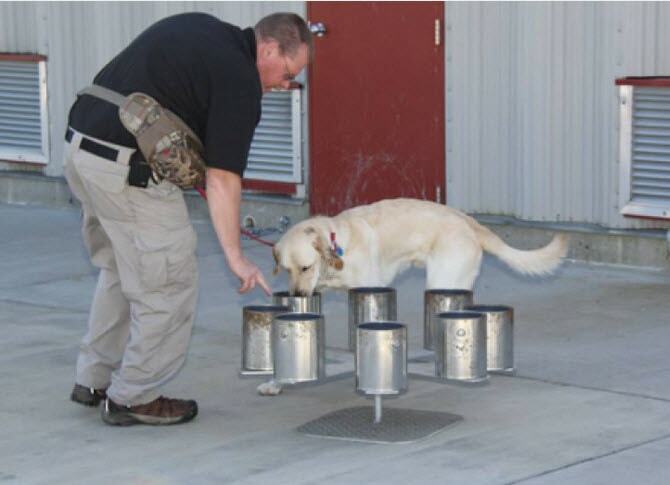 Recently, the dog tried to renew his certification but unfortunately failed to identifying ignitable liquids, and the department made the decision to retire the dog. Luckily for him, the hero dog was adopted by a Fire Department member, Lt, Saunders, and is now officially a pampered family pet pet. Horton’s arson detection knowledge will not go to waste, the department’s new arson dog, Jet, was assigned to work with Lt. Saunders. Horton will be able to pass down his knowledge to the rookie dog. Thank you for your service Horton, now go enjoy retirement. He deserves to enjoy his life now! Live it up! You’ve earned it! Enjoy long lazy days on the couch Horton! A high five to you, Horton! Congrats Horton! Enjoy your retirement, and I hope it is a long and healthy one!